Background The United Nations Educational, Scientific and Cultural Organization (UNESCO) has received funding for a project whose purpose is to improve the sexual and reproductive health (SRH) outcomes of adolescents and young people (10‐24 years) in the United Republic of Tanzania through increased access to high quality, age appropriate and gender transformative sexual and reproductive health education and services. 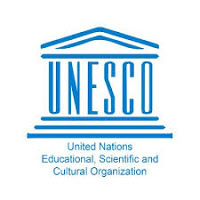 UNESCO hereby seeks applications from qualified candidates for the position of Project Assistant. The incumbent will be based in Dar es Salaam. This is a Service Contract for an initial period of one year, which may be extended based on availability of funding and candidate’s performance. The appointment is subject to a six-month probation. The salary is in accordance with UNESCO scales. Provide support to administrative and logistical arrangements for meetings, workshops and courses in connection with the Project. Ensure that all resources are adequately accounted for on regular basis, including settling of acquittals. Ensure financial reports are supported by original receipts, invoices or payment statements and timely submitted to the Finance and Administration Office and follow-up close of the activity/contract. Assist the National Programme Officer to ensure that all project related funds request and payment are accompanied by original supporting documents as per Financial Regulation and submitted in timely way. In accordance with the Work Plan assist to coordinate and contribute to the procurement of equipment, supplies and services. Previous experience in development assistance or related work especially in the UN will be an added advantage. Experience in the usage of computers and office software packages (MS Word, Excel, etc) and advance knowledge of spreadsheet and database packages, experience in handling web-based management systems. UNESCO’s salaries are calculated in Tanzanian Shillings and exempt from income tax. More details on the ICSC Web site. Please note that UNESCO is a non-smoking Organization. Applications are to reach UNESCO no later than the 22nd December 2018, (Midnight East African Time). A written test may be used in the evaluation of shortlisted candidates. UNESCO is committed to gender equality in its programming and to gender parity within the Secretariat. Therefore, women candidates are strongly encouraged to apply.